From InPuglia365: Beginning this weekend, the latest “InPuglia365 ‒ Flavors and Autumn Colors” program features plenty of free activities for travelers and residents in all areas of Puglia that relate to food and tourism. Many activities take place in all six provinces of Puglia every weekend until the end of December. 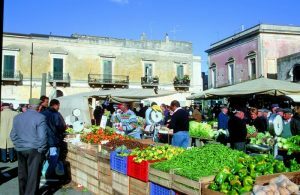 Autumn in Puglia is full of opportunities to experience all the territories and live a truly unique and fascinating season. Activities include guided tours and special openings, routes, workshops, ecotourism and sports activities. This entry was posted on Saturday, November 18th, 2017 at 3:00 pm and is filed under Uncategorized. You can follow any responses to this entry through the RSS 2.0 feed. You can skip to the end and leave a response. Pinging is currently not allowed.